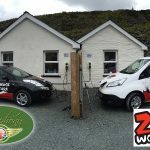 To help preserve the beautiful Welsh countryside that is so vital to its operations, adventure experience company Zip World has started running an electric vehicle fleet. 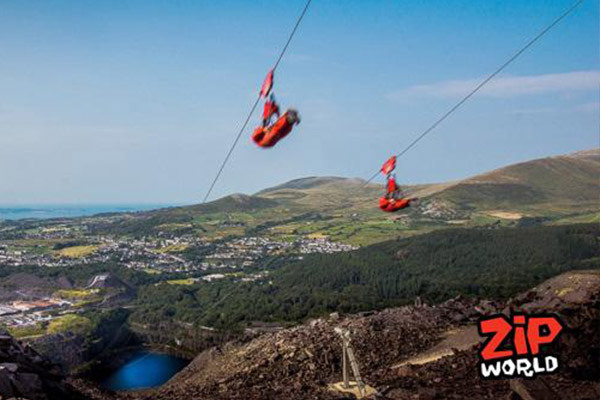 Based in north Wales, the firm is best known for running Europe’s longest and the world’s fastest zip-line, with other aspects of the business including exploring caverns, racing on zip-lines, and tree-top safaris. With three locations in and around the Snowdonia National Park, minimising its impact on the environment is an important part of the firm’s ethos. 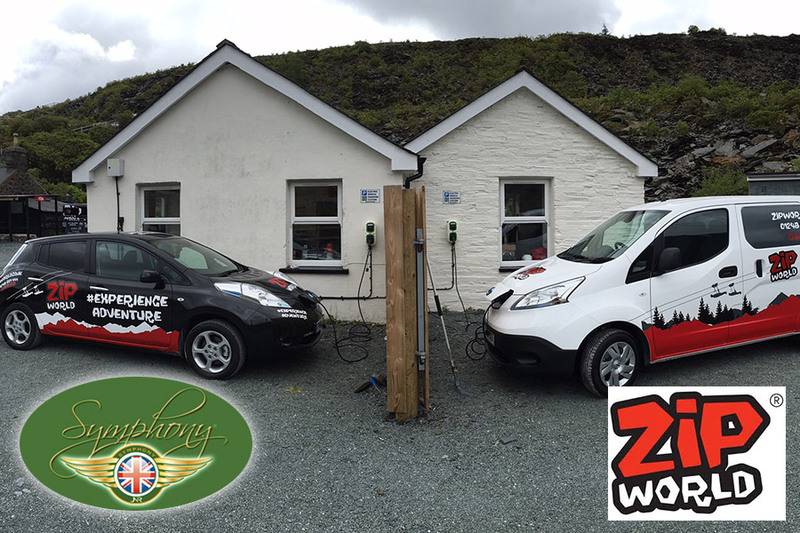 With that in mind, Zip World asked SYMPHONY EV-ZE to supply 15 electric vehicles, made up of Nissan Leaf’s and e-NV200s. These are used to travel between the company’s three sites, saving money and producing zero-tailpipe emissions. 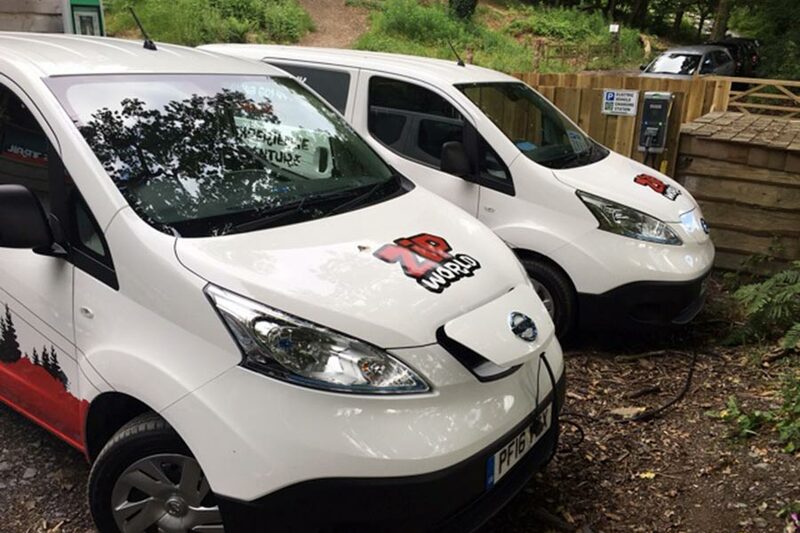 To make the most of the EV fleet, we also installed three fast charging points – 7-22 kW – two at the company’s FForest site, and one at the Titan location. 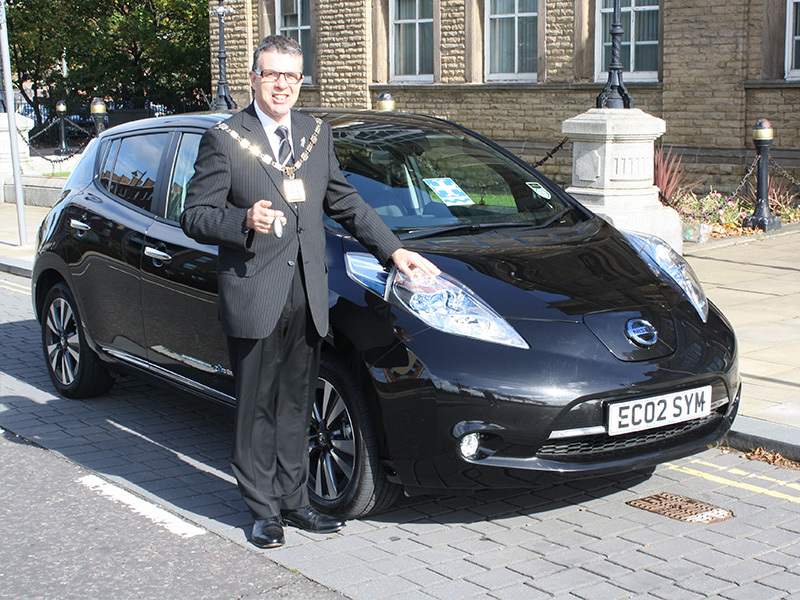 We are delighted to announce that Sefton Council has chosen SYMPHONY EV to provide an electric vehicle as the official mayoral car for a further 3 years.The 100% electric top of-the-range Nissan Leaf Tekna was chosen by Sefton Council in a sponsorship lease agreement. 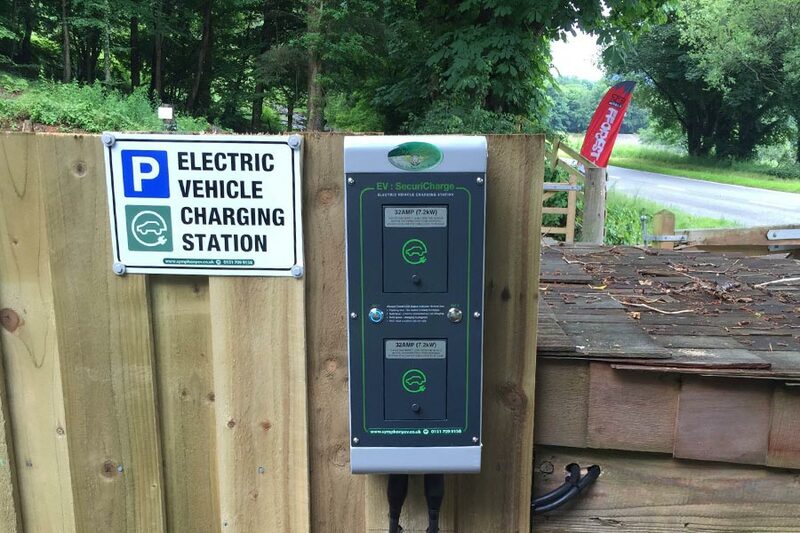 The council is leading the way in saving the planet and saving taxpayers’ money too, as the electric car costs about £15.00 per 1,000 miles to run and is exempt from road tax. Mayor of Sefton, Cllr Stephen Kermode, said: “We are very keen to set an example on all environmental and green issues and this highlights our commitment to energy savings. 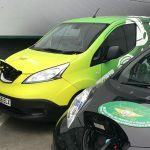 “By leasing a new electric vehicle it clearly demonstrates our commitment to provide and promote a clean and low emissions transport system throughout the whole borough. “The new vehicle is very cheap to run and so helps form part of the savings most local authorities like Sefton currently have to make. 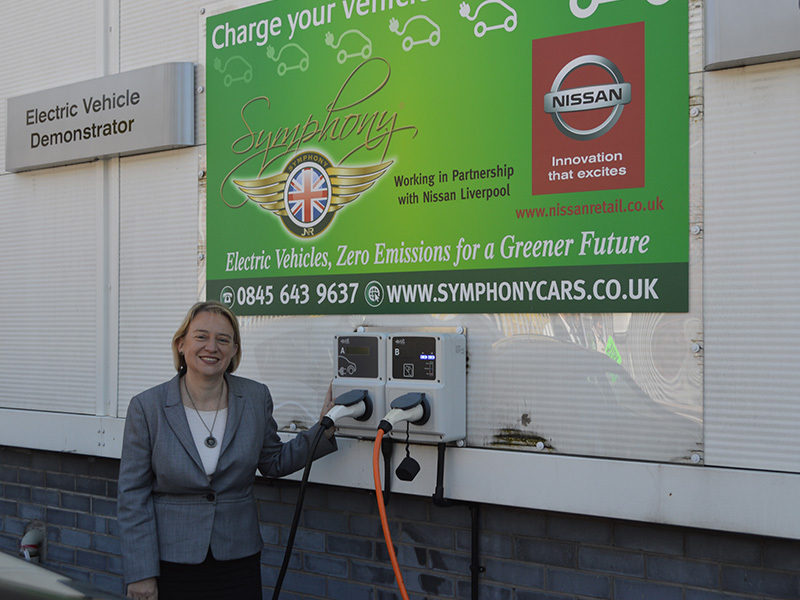 John Robinson, managing director at SYMPHONY EV added: “It’s great that Sefton has chosen to continue using an electric car as their civic vehicle and we are delighted to have successfully tendered to provide it again. 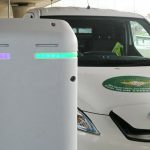 As part of the sponsorship deal, SYMPHONY EV offer the ECOSYMPH Bundle, which includes a charging point and battery hire, they will reimburse Sefton Council for the electric usage based on mileage every six months, service the vehicle and also offer roadside assistance. 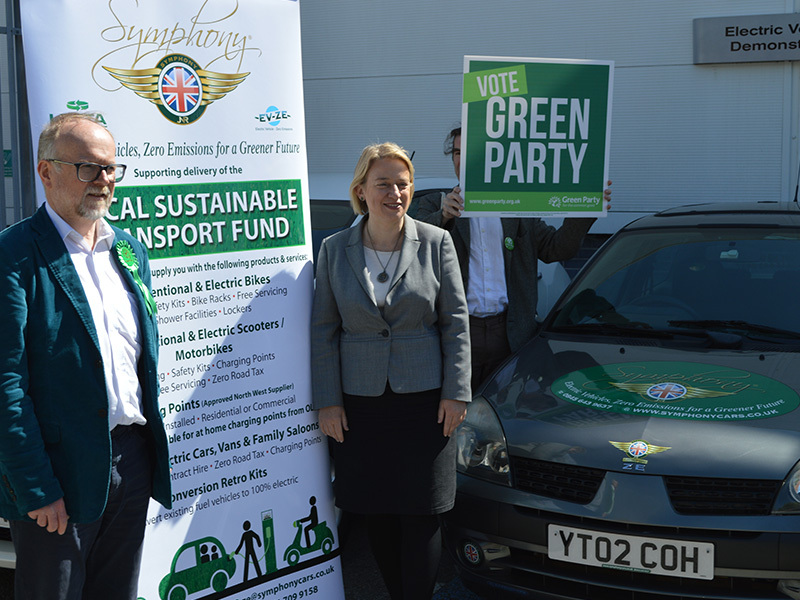 SYMPHONY EV recently chauffeured Green Party leader Natalie Bennett during her recent visit to Liverpool in a 100% zero emission Nissan Leaf provided by Nissan Liverpool. The Green Party endorse both our 100% electric zero emission vehicles and our award winning EV retrofit conversion technology, which has been approved on one of the oldest small vehicles, a 13 year old Renault Clio pictured above. The retrofit technology will soon be bridged across to the Bowler Hat Heritage Scheme, where in London they aim to keep the traditional red buses, red telephone boxes and black hackney cabs. Black cabs rack up the miles over a short period, accumulating 500,000 – 600,000 miles in no time at all, coming to the end of their fuel life, but often the body and electrics of the car have 10-15 years of mileage left in them, so it is a fantastic recycle uplift scheme. Once approved this project could be rolled out to the other major UK cities. 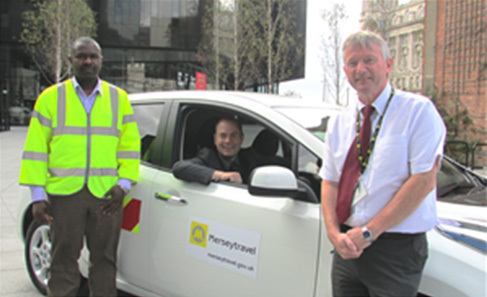 SYMPHONY EV have supplied one of our 100% electric ECOSYMPH Nissan Leafs to Merseytravel, which will be used as one of their organisational pool cars. 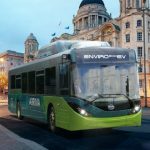 Merseytravel is well known for the promotion of sustainable transport in all its forms, so to add an electric car to its own fleet is a great idea. 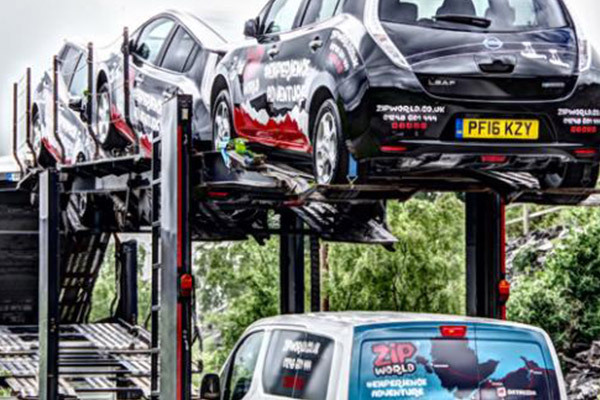 Our 100% electric Ecosymph Nissan Leaf has a driving range of 120 miles per charge, low recharge costs, no Road Tax and with zero emissions, meets the highest environmental standards.